The markets wiped off a major component of the post-Budget gains as the market participants made sense of the finer print after giving an initial thumbs-up to Pranab Mukherjee's proposals. 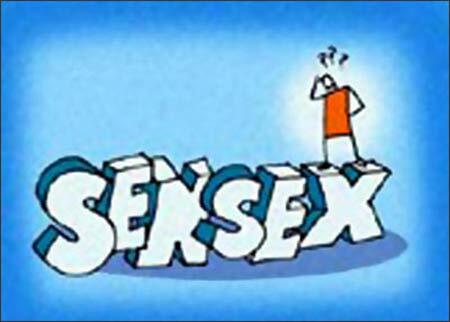 The Sensex, which had soared by around 600 points in the aftermath of the FM's speech, surrendered more than 400 points from intra-day highs and slipped below the 18k mark to end up a mere 122 points at 17823 and the Nifty ended up 30 points at 5333. 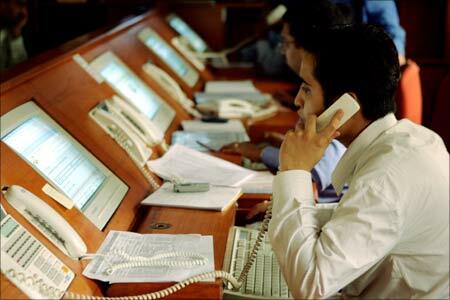 The midcap index ended at 6377, higher by 23 points and the smallcap index shut shop at 7820, up 30 points. There was a short-covering rally in noon trades, with the event risk and accompanying nervousness behind us. The rally was triggered by lower fiscal deficit target set by the government for the year ended March 2012 despite the subsidy burden accruing from the oil and fertiliser spaces. The finance minister projected a lower fiscal deficit target of 4.6% for the year ended March 2012 as against 5.1% for FY11. However, the benchmark indices shed a major component of their gains in the last hour of trade following selling pressure at higher levels. Whether the budget would change the trajectory of the markets, which have been in a bear grip since the last three months, will be clear in the next few trading sessions. The finance minister began his budget speech by praising the remarkable resilience of the economy and predicted a decline in the average inflation and economic growth rate of 9 per cent next year. He highlighted the fact that preparations for GST rollout were in the final stages and DTC would come into force in April 2012. He also pointed out that exports were up 9.4 per cent in 2010-11, agricultural growth stood at 5.4% and industry was 8.1 per cent in 2010-11. Moreover, we now have a divestment target at Rs 40,000 crore (Rs 400 billion) for FY12 and a cut in the state-level fiscal deficit to 3 per cent of gross state GDP by 2014. Among the major Budget proposals, the finance minister promised the introduction of a food security bill to tackle hunger and malnutrition, a comprehensive national policy to control the trafficking of narcotic drugs and a task force to deal with the problem of black money. The FM also assured steps to simplify the tax and tariff procedures and simplify the service tax refunds process. He also announced infra status for the fertiliser sector investments and infra status to cold storage chains, besides a 3% interest subsidy to farmers in FY12. Meanwhile, the GDP rose by 8.2 per cent for the December 2010 quarter as against 7.3 per cent in the corresponding period of the previous year, but slowed down from the previous quarter's figures of 8.9 per cent. The mining sector growth stood at 6 per cent vs 5.2 per cent on a y-o-y basis and the farm sector growth shot up to 8.9% vs -1.6% during the period, while the construction sector declined marginally to 8 per cent from 8.3 per cent. Budget: Is there enough in it for farmers? Why stock market soared by 600 pts on FM's speech! 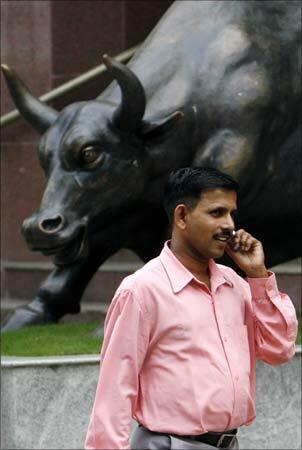 Budget 2011: What's cheaper, what's costlier!